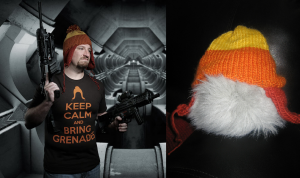 Because we reached a total of $1865 raised for the U-Pick Video Game Marathon for Charity before it has even begun, I’m giving away one of the hand-knit replica Jayne hats that I’ve knitted! You know, a cunning Jayne Cobb hat? 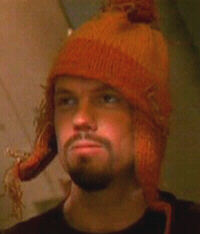 As seen on the long-cancelled but much-beloved TV show “Firefly?” It’s really a hat that no fan should be without – or really, anyone who lives in a cold climate (these hats are super warm!). As an added bonus, we’ll pick a second winner to receive this adorable 12 inch by 17 inch print of “Brownie Coats,” signed by the artist Patrick Ballesteros. And because there are multiple ways to enter this giveaway, you actually have a good chance of getting your name drawn for both prizes! Enter to win through the Rafflecopter form below – there’s no donation necessary! 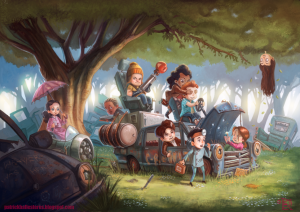 All you have to do is help spread the word about the U-Pick Video Game Marathon for Charity.